When I first heard of the Sacred Pathways a few weeks ago, I was very intrigued. I hadn’t read the book by Gary Thomas before, nor had I ever heard anyone talk about these Sacred Pathways for describing how they connect with God. The main reason why my attention was grabbed was because of my fascination with personality types and various personality tests. I’ve always believed that the place where we need to start is with the famous principle, “Know Thyself.” Yet somehow it never occurred to me that a similar breakdown of “personality types” could exist for worshipping God. After reflecting on these Sacred Pathways though, it has helped me put a name to my own version of spirituality and spiritual inclinations. As I mentioned, I’ve found the standard personality tests to be incredibly illuminating for understanding how I’m wired, why I am drawn to the things I’m drawn to, what makes me tick, why certain patterns have emerged in my life, etc. I am an ENFJ, an Enneagram 7 (with a 6 wing), and a proud member of Ravenclaw House. On the Strengths Finder, my top five are Achiever, Woo, Input, Learner, and Intellection. With each of these, I’ve gained a greater sense of clarity about who I am and who God has made me to be. It’s been freeing and illuminating to dive into these personality studies and to reflect on my life in light of them, and I believe the same is true when it comes to spirituality. After reflecting on the Spiritual Pathways, it’s clear that my top pathway is Intellectual. This obviously makes a lot of sense when I look at my strengths from Strengths Finder (not to mention my Hogwarts House). My desire to love God with my mind, and connect with him through reflecting on theological matters, etc, has been true for as long as I can remember. My day job is teaching New Testament at Bethel Seminary, so there’s really no surprise here. 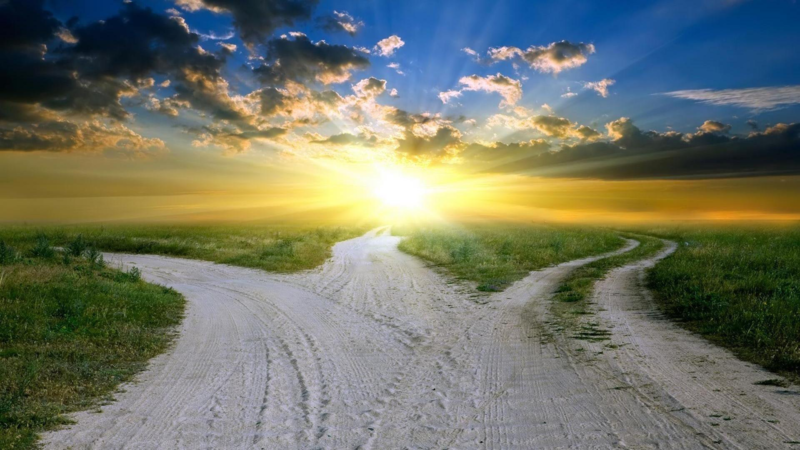 My second Spiritual Pathway is really a mix of two others: Sensate and Traditionalist. The reason why I include both of these together is because I think that what I am most drawn to happens to be the great symbols and rituals of the Christian faith (Traditionalist), but I am particularly drawn to them as embodied practices (Sensate). It’s hard for me to parse out the distinction, but essentially I’d say that my version of being Sensate has a Traditionalist flavor to it. The example I gave during the panel on Sunday was of a time I had spent in Paris studying French one summer. I went along to a small Baptist church and when it was time to receive communion I didn’t realize that the juice was actually wine. It startled me because I had never taken communion with wine (or port) before. The wine burned because I was so caught off guard. But in that sensory experience I was immediately drawn to the thought, “O Death, where is your sting?” In that moment I was completely overwhelmed. When I reflect on the heightened spiritual experiences that I’ve had, many of them are stories like this, where there is some kind of combination of a traditional symbol that I fixate on through my embodied participation in it. Through thinking about experiences like these I was able to identify my second major Pathway as Sensate-Traditionalist, which blurs two categories into one, but which also makes sense of my lived experience. One helpful way for me to think about the Pathways is through the lens of the Five Love Languages developed by Gary Chapman. With the Love Languages you learn what your “native language” is. This helps you articulate how you both give and receive love most naturally. This is true for romantic relationships, familial relationships, and even friendships. But one of the helpful things about the Love Languages is that it goes beyond helping you articulate why you’re more inclined to display love a certain way, and why you don’t always receive as love what others are trying to give to you as love. The Love Languages are also helpful for stretching us, causing us to think about how we need to learn how to speak new languages in order to show the kind of love that our spouses, boyfriends and girlfriends, family, friends, etc, can best receive as love, and to be able to receive from them in turn what they are trying to give as love. For me personally, my top two Love Languages are Words of Affirmation and Touch. What I find fascinating about this – and I’m curious to know if others who are familiar with both the Love Languages and the Sacred Pathways can make similar connections – is that there is a clear parallel to me being an Intellectual and Sensate-Traditionalist. Words of Affirmation may very well be the most cerebral of the Love Languages (corresponding to my Intellectual pathway) and Touch has a clear connection to my Sensate pathway and the importance of embodiment. In a way, I’d say that my Sacred Pathways are really just baptized ways of talking about my natural Love Languages. When the Love Languages are translated over into the Sacred Pathways we can see how we are each drawn to particular expressions of love for God. We are inclined towards different practices most naturally, and that is perfectly fine. We aren’t all going to be inclined to connect to God through the same means. But the Pathways don’t simply stop there, they also call us to step out of our comfort zone from time to time as well. For example, the Pathways help me understand why I’ve never really connected with the practice of solitude or fasting very much, but the point for me is not simply to say that those practices aren’t for me, but to recognize that these are areas that I can hope to grow into by the work of the Spirit in my life. Thus, the Pathways are both descriptive of the person that I am, and aspirational for the person into which the Spirit is forming me.